File picture of Finnish parliament. Photo Hanne Salonen / Eduskunta. The parliamentary elections will be held across the country today to elect a new government to run the country for the next four years. A total of 4255466 voters including 2069501 men and 2185965 women will elect 200 lawmakers through exercising their rights of franchise. A total of 2468 candidates, 1,432 male and 1,036 female, from 13 electoral districts in the country are contesting the polls, sources of the Ministry of Justice said in its election website. A total of 19 registered political parties and 136 independent candidates are taking part in the elections this year. 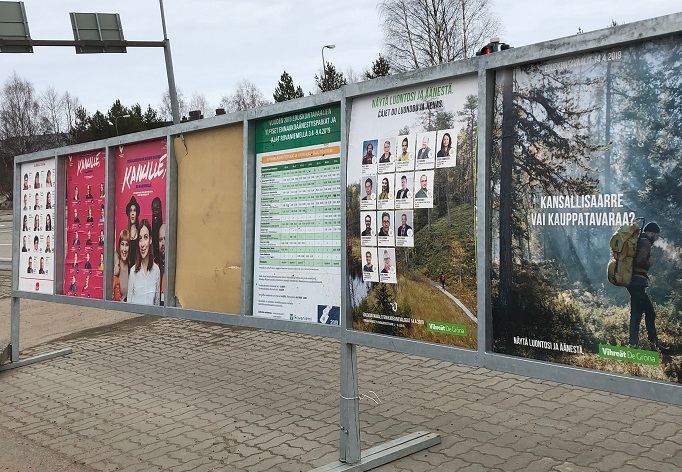 Twenty-two lawmakers will be elected from Helsinki electoral district, 35 from Uusimaa, 17 from Varsinais-Suomi, 8 from Satakunta, 14 from Häme, 19 from Pirkanmaa , 17 from Southeast, 16 Savo-Karelia, 16 from Vaasa, 10 from Central Finland, 18 from Oulu, 7 from Lapland and 1 from Åland electoral district. Meanwhile, the authority completed all-out preparations to hold the elections in a peaceful manner and has set up 1,943 polling centres in the country. Official sources said that 34,229 new voters are entitled to cast their votes for the first time this year. Voters must present proof of their identity both when voting and the identification must have a photo on it. The national elections will be held from 9:00 am to 8:00 pm. Preliminary results will be available during the evening and the following night. A recount of the votes will be conducted in the constituency electoral committees on Mon-day, 15 April, and the committees will confirm the final results of the elections on Wednesday, 17 April. Meanwhile, the candidates and leaders of the major political parties were found too busy with their last minutes election campaigning at different parts of the country on Saturday. Earlier, different survey organisations in separate opinion polls forecast the Suomen Sosialidemokraattinen Puolue (Social Democratic Party of Finland-SDP) as the most favourite to win the polls.